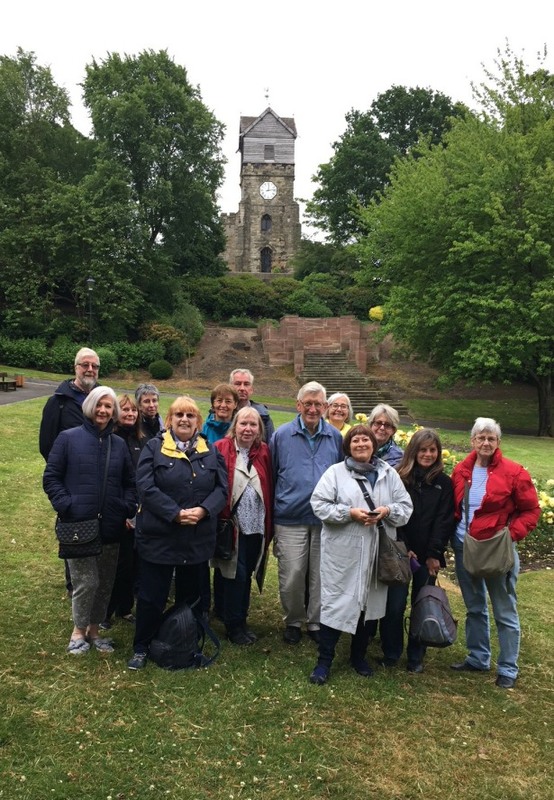 Forty plus members of the Chester Civic Trust visited the Arts and Crafts Church today and toured the EW buildings in the Conservation area. This was the follow up to David Morris’s talk to the group earlier in the year.The group arrived at 9.45am with a welcome cup of coffee/tea and biscuits before being divided up into groups to make the tour of the EW buildings more manageable. While two groups started on the tour in opposite directions the third group had a talk at the church before switching over. Thank you to Maureen and Elaine for helping again to make the visit such a success.